The 26th of October marks the launch of Windows 8. 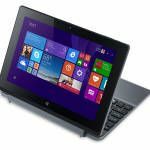 Along with it comes a number of clamshell Ultrabooks with touchscreens. 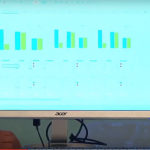 Acer, among others, is hoping to get an early jump on that portion of the market. They’ve got two offerings ready at the starting line. 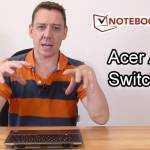 Acer has announced the Aspire M3 Ultra Touch which is on the higher end of the price spectrum. 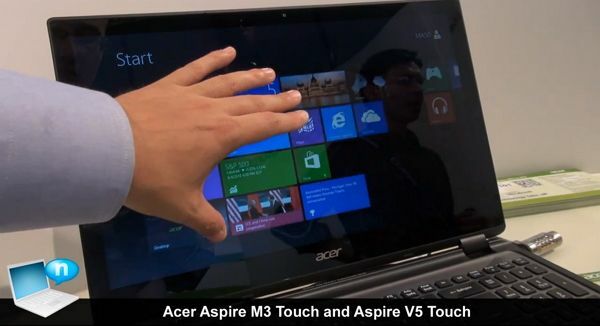 The proper name according to Acer is quite the mouthful: ‘Acer Aspire Timeline M3 Ultra Touch’. This 15.6″ Ultrabook will launch with Windows 8, a 15.6″ 1366×768 display, mid-low end Nvidia Geforce GT 640M GPU, up to 6GB of RAM and up to a 500GB HHD or 256GB SSD. Weighing in at 2.15kg and with a thickness of 20.7mm, the M3 Touch quite closely grazes the upper limit for thickness on an Ultrabook which Intel has specified as no more than 21mm for a device with a 14″+ screen. 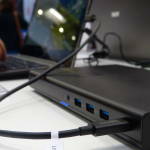 The port set has all of the essentials: 2x USB 2.0, 1x USB 3.0, full HDMI, and full LAN/ethernet (RJ45). Release date for the Aspire M3 Touch is not known yet but you can expect it toward the end of October with Windows 8. 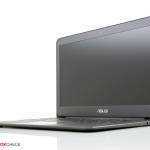 Notebook Italia says the price is likely to be €899 (which we imagine is fully-equipped), according to a reliable source. The Aspire M3 comes as an addition to Acer’s quite beautiful looking Aspire S7 with touchscreen. This one was announced at Computex back in June. The S7 is the yin to the M3’s yang — at 11.6″ the S7 is aiming for ultra portability (though there is also a 13.3″ version launching). The S7 is based on Ivy Bridge with a bold white design that incorporates a glass back. The touchscreen display is full 1920×1080. The Aspire S7 isn’t priced offiically yet by Acer but we’re seeing prices of ~£1400 pop up around the web for the most equipped 13.3″ model. With all of these upcoming touchscreen Ultrabooks, I’m wondering how annoying shaky screens will be when prodding the display. It seems nearly impossible to make a rigid touchscreen in a traditional clamshell form-factor that doesn’t shake and bounce from your taps. We’ll have to wait and see how well these touchscreen clamshells bridge the gap until more innovative transforming and convertible designs take hold. Good to know that the only real setback with people is the price from what I’ve seen, I’m excited to get my hands on this net book!